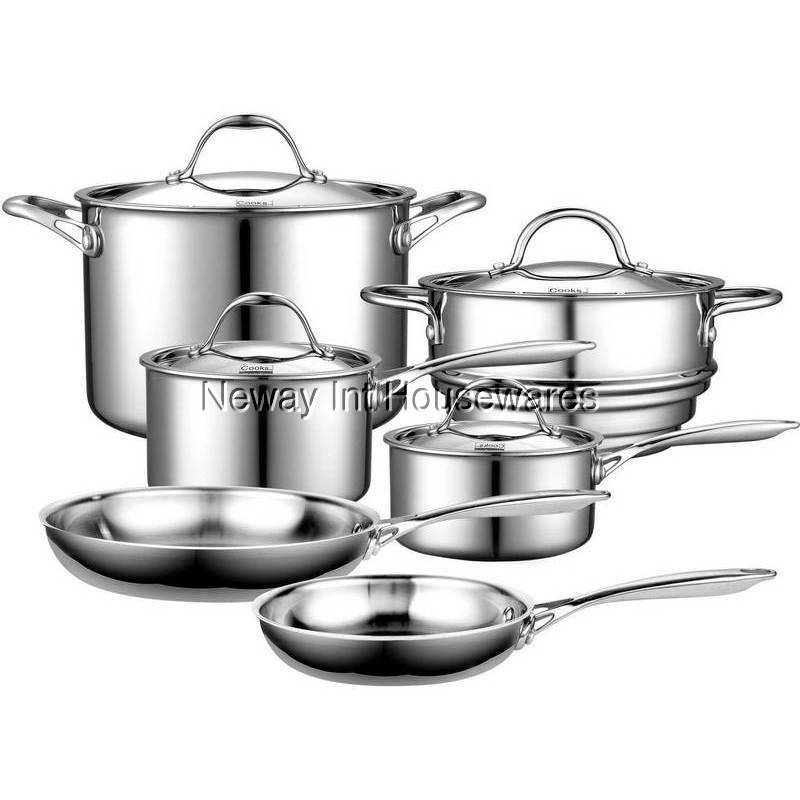 Thoughtfully designed, the cookware's solid stainless-steel handles come riveted for strength and provide an open V-shaped design with air-flow technology that keeps the handle cooler and more comfortable. Another thoughtful detail includes the cookware's scratch-resistant stainless-steel bases, which come with a brushed finish and that can be safely used on any type of stovetop, including gas, electric, ceramic glass, even induction. Oven-safe up to 500 degrees F.
Cooks Standard, located in California, USA, designs and manufactures high-quality cookware products for the home and kitchen. Cooks Standard presents professional and home chefs alike with the highest-quality materials, thoughtful design details, and fine craftsmanship--all of which is setting a new standard for the cookware industry.